In over a year the only two serious players in high-end VR headsets have been the HTC Vive and the Oculus Rift, but not for longer, the LG Steam VR is here. 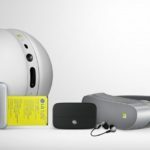 A few days ago LG announced its own PC powered Virtual Reality headset that is developing in a partnership with Valve. 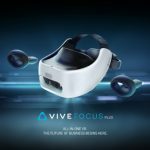 This means the bi-polar rule of the Rift and the Vive might be over soon. 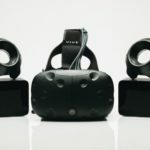 What’s more, there would be now two VR headsets using the SteamVR tracking technology, the new LG, and the HTC Vive. 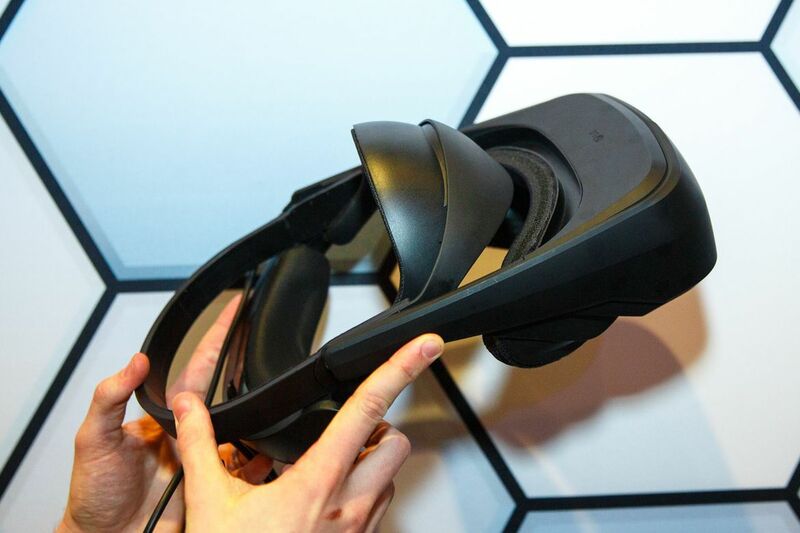 The LG SteamVR headset is a bit bulky and it looks more like a VR helmet than anything else but it’s not ugly. The prototype has an interesting design, it features a hard plastic build that covers everything from the headband to the eyepiece. The surface on the front is smooth and it holds several sensors of the LG headset. There is also a camera lens on the front, and LG claims it will be used for a pass-through visualization. You wear the LG headset just like you would wear a baseball cap, for some people this is stylish, I myself find it a bit awkward. The rear band wraps around the back of your head while the front piece points upward. It’s adjustable in case you need to tighten the VR headset to your head size. It’s comfortable but doesn’t feel balanced. One of the most characteristic features of the LG SteamVR headset is the ability to extend the eyepiece. 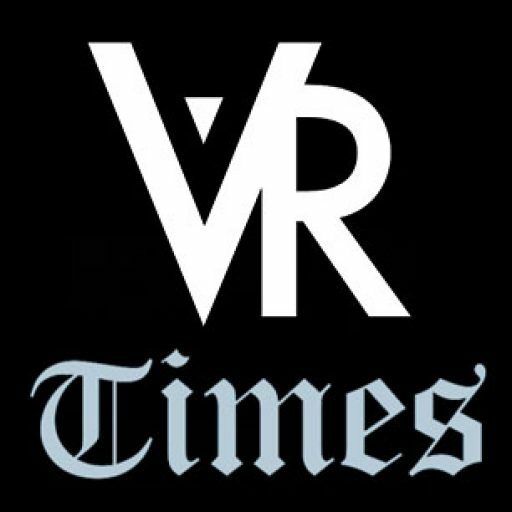 You can easily flip it up and down to enter and exit Virtual Reality at any time with no effort and with no need of removing the full headset. 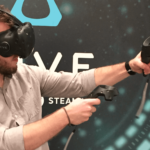 The wand controller looks very much like the HTC Vive’s controller, but it has blocky and angular ends instead of circular. They have a textured grip on the sides to hold them easily and they actually feel cool. 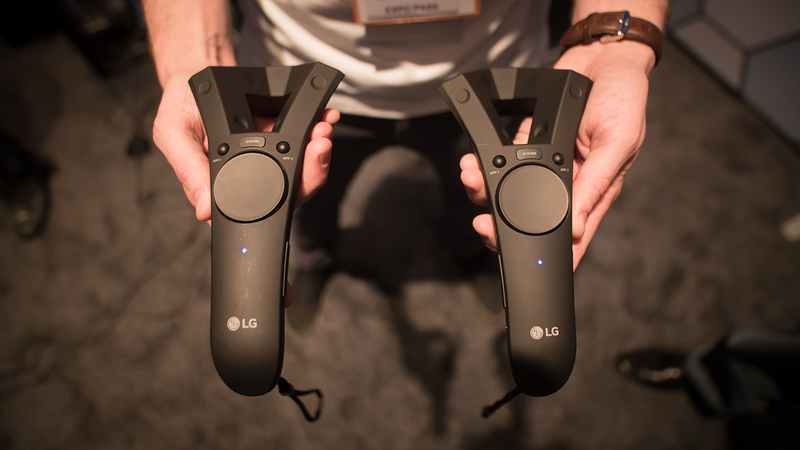 The LG headset uses the same Lighthouse tracking technology developed by Valve, but it has base stations of its own. The IPD is not adjustable, the headset has no built-in headphones and it’s heavy. 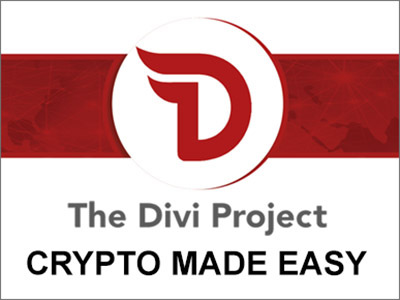 But this is just a prototype, so we might see moderate changes in design in future presentations. We will have to wait a bit to see if LG will be able to compete in the VR race. The company hasn’t said anything about price or availability but we guess it’s coming before the year ends.